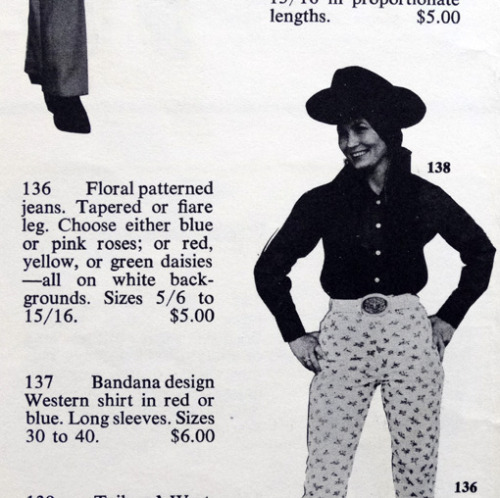 Billboard Magazine announced Loretta Lynn’s entrance into the fashion world on Aug. 16, 1969. 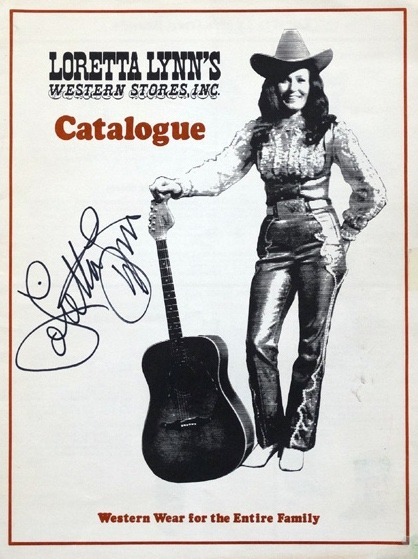 Lynn and a group of Nashville businessmen formed the national franchise, Loretta Lynn’s Western Stores, Inc., with headquarters at Nashville’s Lebanon Road. Three stores were expected to open in the Nashville area with a projection of some 200 stores, most of which were expected to be under franchise agreements, over a period of three years. Among items sold by the stores were saddles, bridles and western outfits.